According to a recent national survey, around 1 in 5 people in Wales smoke and over two thirds of them want to quit. If you smoke, then quitting is the best thing you can do to improve your health. However, we understand that for many people, it’s not easy. That’s why the NHS in Wales recently launched “Help Me Quit”, bringing together dozens of pharmacists, hospital workers, midwives and dedicated stop smoking experts to make sure a great range of options are available to suit the needs of all would-be quitters, making it easier for them to access the right support. Help Me Quit works across Wales and is the best choice that people can make if they want to stop smoking because we know that people who use these services increase their chances of quitting by 300% compared to going it alone. In Cardiff and the Vale, over 60,000 people smoke and there is a team of people who work tirelessly to help those who want to quit smoking achieve their goals. Three of them have shared their experiences of helping people quit smoking and why, if you’re still unsure about giving up, you should take the plunge and get in touch with Help Me Quit today. 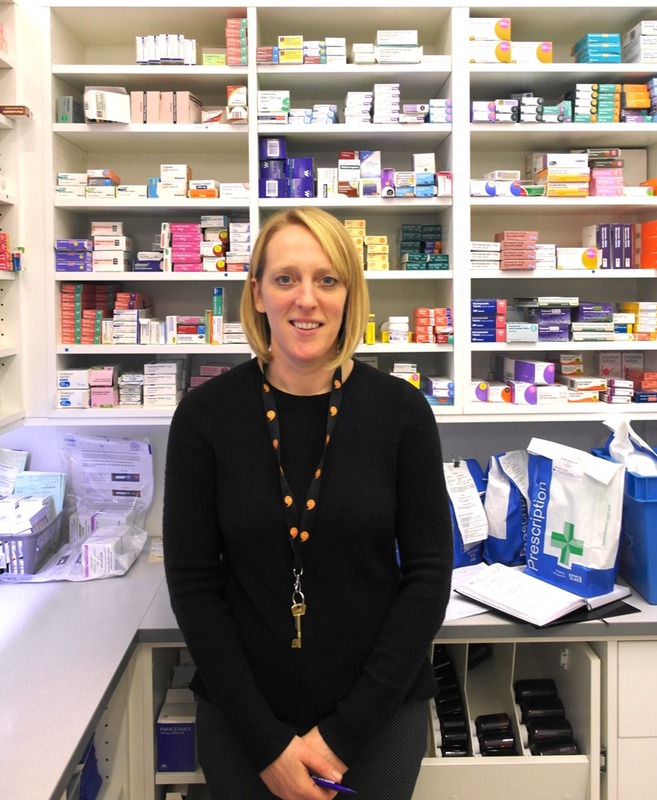 Gwawr is the co-owner and lead pharmacist of the High Street Pharmacy in Barry. “I’ve been a pharmacist since I qualified in 2000. I started my career in the valleys and ran stop smoking services there. In 2016, my friend Claire I made the decision to go into business together and bought the High Street Pharmacy in Barry. 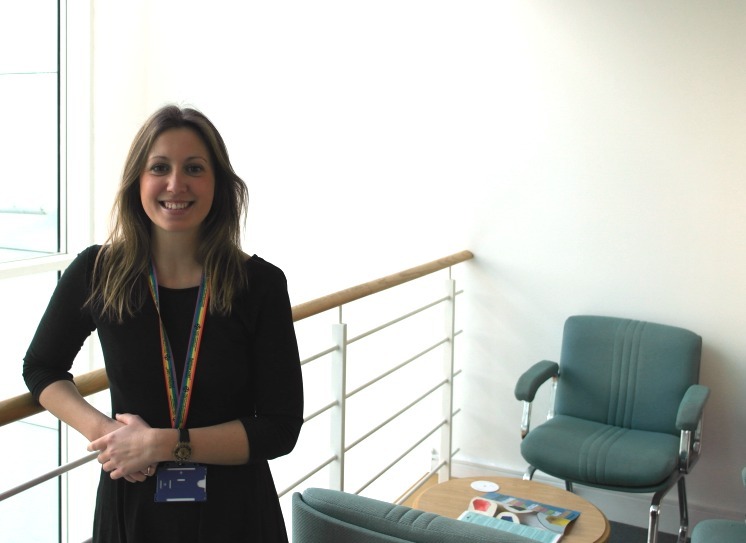 “In our new pharmacy, I remained determined to help people who smoke to quitting smoking. After a slow start, the stop smoking sessions started to really pick up as the word got out that we were doing it. It just goes to show that people are really keen to quit smoking and when they succeed, they tell everyone about how great life is once they’re smokefree! “In this pharmacy, we offer a totally free and confidential service of seven sessions over the course of 12 weeks. They last about half an hour and, at each one, I’ll give who I’m seeing a supply of free stop smoking medication like patches or gum to help them deal with their cravings along with face-to-face support. There are very short waiting times and the sessions are really easy to access. People can come in to make an appointment or find out more information about their nearest pharmacy by calling 0800 085 2219. Not everyone manages it first time, but I always let them know that they’re welcome back or I’ll try and direct them to other Help Me Quit services until they crack it for good. “One great example is a lady that I treated who was in her 80s. She kept telling me that even though she wanted to quit, she’d smoked all her life and she just didn’t think it was possible. With the support sessions and a few free nicotine products, she did manage to quit in the end. I think that helping her to quit is one of my biggest achievements in this job and I know that if she can do it, anyone can. That’s what I tell all of my clients – especially the ones that initially don’t believe that they can! “It’s really satisfying when someone quits because you really feel like you’ve helped someone make a big positive change to their lives. I love seeing the physical differences in people that quit smoking – you wouldn’t believe how quickly quitting can change how a person looks, sounds and breathes. There are 24 pharmacies across Cardiff and the Vale that offer a similar service through Help Me Quit. Find your nearest one here. Frances is a dedicated stop smoking expert for Stop Smoking Wales, working across Cardiff and the Vale of Glamorgan. “I used to be a nurse on vascular and cardiac surgery wards and it always struck me how many patients were admitted because of health problems as a result of smoking. There were even people who had to have their legs amputated because of it. Amazingly, I found myself relating to many of these patients’ lifestyles – they ate well, they exercised, didn’t drink too much but still had to have life-changing surgery all because of smoking! “That’s what made me give up cigarettes back in 2009. I wasn’t a heavy smoker but I did enjoy the occasional one on a night out or if I was stressed. After seeing the long-term damage that it can do to people, I was determined to not only quit myself but help as many people as I could to do the same. “I decided re-train and become more specialised in helping people quit smoking. I’ve always believed that prevention is better than cure. I know the damage smoking can cause and that helping people to quit is one of the best ways of keeping them from being admitted to hospital or worse. “I work as part of a team of stop smoking experts across Wales but I’m based in Cardiff and the Vale of Glamorgan. I work out of many different locations like GP surgeries, community centres, and even in businesses so I travel around the area a lot and so do my colleagues. We offer seven weekly sessions of support and talk about everything from how to deal with stress without cigarettes to how to enjoy a smoke-free night out. Also, we give people access to free stop smoking medication to really help them beat their cravings. We can offer people support over the phone, in a one-to-one appointment, or the option to quit in a group alongside other smokers. “People who have never smoked probably don’t understand what giving up smoking can entail and how difficult it can be. That’s why I really love doing the group sessions. We know that people are much more likely to quit if they have the right support and the groups are great because everyone supports each other. It’s lovely to see the relationships that people forge with each other and how they get closer and closer every week because they’re all going through the same thing. Even at the end of the seven weeks, I’ve had clients that have asked me if they can keep coming back just to continue being part of the group. 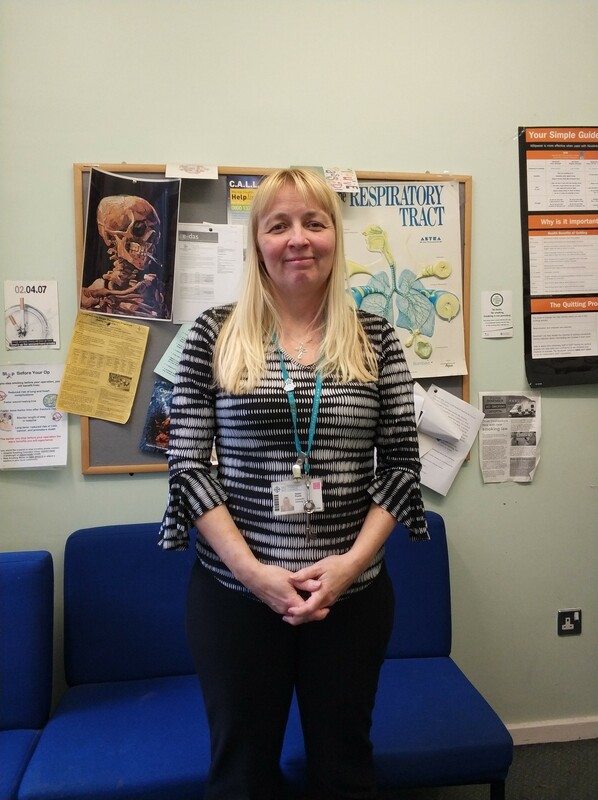 Helen is part of the University Health Board’s in-house hospital team of stop smoking experts and is based at the University Hospital Wales. “I’ve worked for the NHS since 1992. I started out doing various administrative roles but decided to volunteer and train in counselling and have since achieved various counselling qualifications including a Master’s Degree. “Since then, I moved into helping people quit smoking because, having worked for the NHS for several years, I could see the damage that smoking was doing to people. More importantly, I could see how much their health improved once they quit. “I really feel for anyone who has an addiction. I feel like they can be unfairly judged by society. For many people who struggle with addiction, the circumstances which they find themselves in mean that their addiction itself is their only escape or support, to the point at which they think of the cigarette as their friend. “I want to be able to help and support people, and empower them to realise that they can survive and thrive in a life without tobacco. “When they arrive, my clients can be so anxious especially as I see many people on hospital wards who are in for serious procedures. Flash forward a couple of months and quitting smoking has meant that their bodies are able to recover properly and they’re happy and full of confidence. It seems like they manage to take control of their lives again and stop allowing themselves to be ruled by cigarettes. “A great example of someone taking back their life from cigarettes is a man who was referred to me with diabetes and circulation problems. He was in his 60s and had been smoking for the majority of his life. As a result, the circulation in one of his legs had deteriorated so much that his consultant decided that he’d have to have the leg amputated. The surgery was scheduled six months down the line so he was referred to me to help him quit smoking so that his recovery would be better. He wasn’t happy about having to give up smoking but he agreed to give it a go. “At every appointment, he told me how much he missed smoking but he managed to stay strong and didn’t have another cigarette. At his next appointment with his consultant, he was told that his circulation had improved so much that he didn’t even need the surgery anymore. The only thing he changed during that six months was quitting smoking. “Another very touching moment for me was a grandmother with major circulation problems. Whenever she and her family went on holiday, she had to be taken around in a wheelchair. When her grandchildren would play on the beach, she was forced to watch from the promenade. “She was referred to me and told me that she was so depressed, feeling unable to do anything. She managed to quit smoking and ten weeks later, she and her family went on holiday again. For the first time in years she not only managed to go for a walk on the beach but also had a kick about with the kids. She was so happy that she managed to get her independence back all because she quit smoking. “Hospital inpatients and outpatients can just speak to any Cardiff and Vale UHB health professional and ask them to be referred. We have a really quick and effective electronic referral system and are based across UHW, Llandough and Barry Hospital. NHS stop smoking support can be found across all of Wales in local community venues, GP surgeries, hospitals and pharmacies, and can even be accessed over the phone. You can see where they are in your area by entering your postcode here or by calling 0800 085 2219. No matter which service you decide to use and whoever you end up seeing, all Help Me Quit services are free of charge, include the stop smoking medication, are delivered by experts, and are non-judgemental and confidential. The best choice a smoker can make to quit smoking is to contact Help Me Quit directly or ask a health professional to refer them.